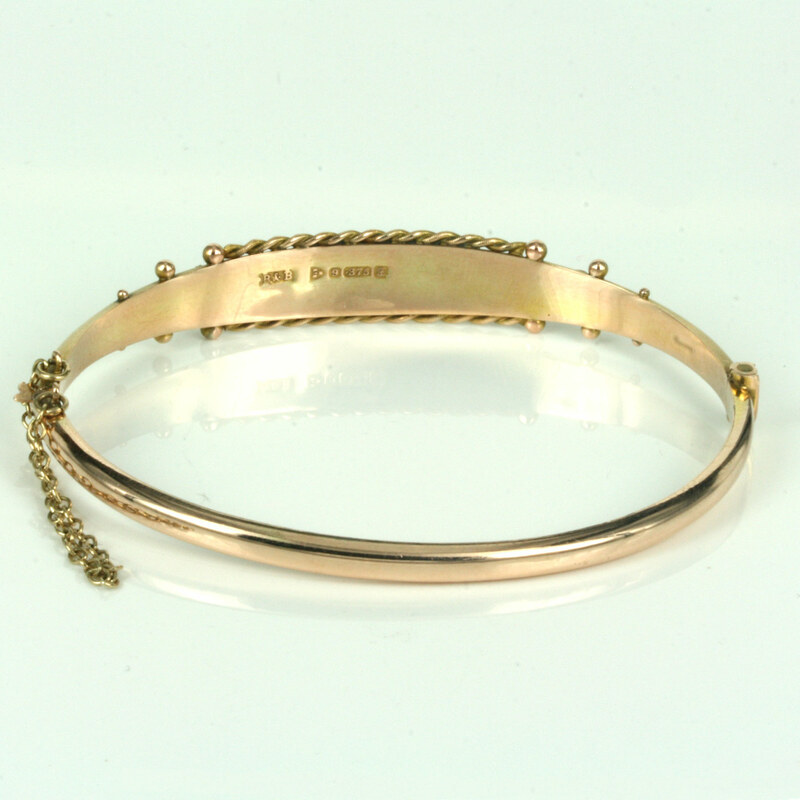 Product code: ES3398 Categories: Sold Items, Sold Jewellery. Here is a wonderful Edwardian era antique bangle set with 2 rubies and a diamond set with the most elegant floral work across the top. Made in 9ct in Chester in 1906, the bangle is still in superb condition even well after 100 years later and can still be easily worn every day and night. Being a hinged bangle allows it to sit nice and close to the wrist and is also fitted with a safety chain for added security. The bangle measures 3.5mm wide at the back of the bangle to 9.3mm wide at the top where the diamond is set. The work on the top of the bangle is so elegant and delightful with the twist work on both edges and that very beautiful work across the centre. Set with 2 natural rubies and a rose cut diamond in the centre, this is such a lovely example of an antique bangle that will always be loved and treasured and destined to be admired from near and far. A wonderful antique bangle from the Edwardian era of the early 20th century.